Daniel Bell-Drummond hit back-to-back centuries and Grant Stewart took nine wickets in the match in a fine Second XI Championship win against Surrey at New Malden. 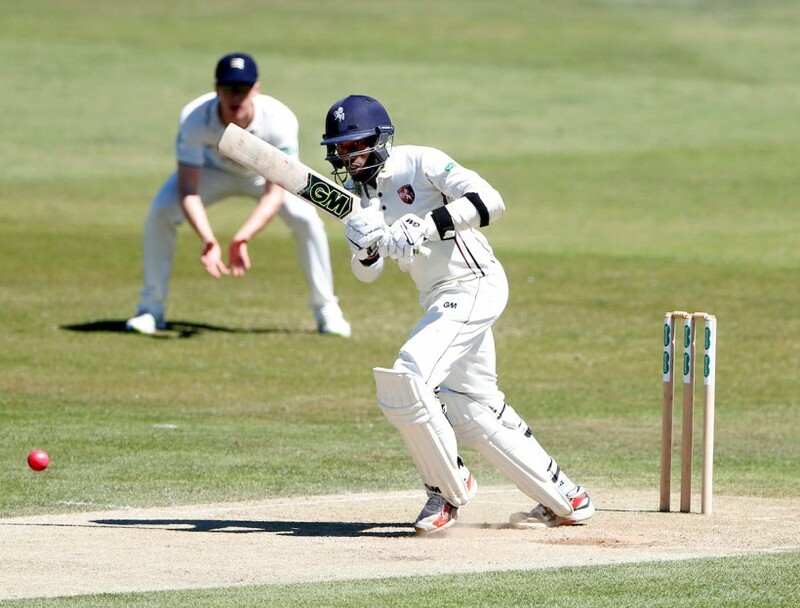 The Kent opener reached three figures in each innings as did Zak Crawley (105) in the second innings with half-centuries for Ollie Robinson and Adam Rouse to set up the hosts to chase 358 to win on the final day. The visitors posted 310 after winning the toss with Bell-Drummond reaching 50 off 57 balls as he shared a century stand with Rouse (32) before celebrating a century off 125 balls. Teenage wicketkeeper-batsman Ollie Robinson continued his fine summer with the bat as he scored a 47-ball 50. In reply, Stewart made the breakthrough as he dismissed three of Surrey’s top five with a wickeet apiece for Kent’s spin duo of Adam Riley and Imran Qayyum. Scott Borthwick (81) provided the main resistance until Bell-Drummond grabbed another scalp with his burgeoning seam bowling. A rain delay seemed to help Kent wrap up the tail with a reinvigorated Harry Podmore (3/48) and Stewart (4/67) impressing again. With a 54-run lead, Bell-Drummond (101) and Crawley (104) set up the win with a superb stand of 190 for the opening wicket. Adam Rouse’s unbeaten 49-ball half-century helped Kent declare with a big lead, leaving an uphill task for the hosts. Stewart struck three early blows before a wicket each for academy scholar Tom Davis and Kent’s spin duo left Surrey in trouble at tea on the final day. Podmore picked up two wickets after tea and Stewart did likewise to complete his third five-wicket haul of the season.